What is this week's Torah portion? Alison C. is a software engineer, public transit enthusiast, artist, smart home hacker, and convention organizer located in Mexicantown, Detroit. Alison has experience with multiple technical stacks, as well as DevOps, CI, and configuration management, and is the creator of “What is this week’s Torah portion?”. Currently, Alison has ridden at least 22 public transit systems across seven US states, one Canadian province, and Scotland. They are currently in progress of mapping every Detroit Department of Transportation (DDOT) bus route for OpenStreetMap (progress spreadsheet here). Alison is the Head of Logistics for Penguicon, a 1600+ member open source, science fiction, literature, and DIY convention that takes place every spring in southeastern Michigan. 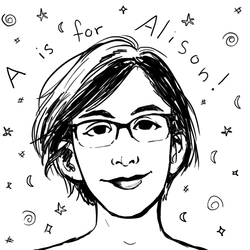 You can find Alison on Twitter (@alisonc42), Github (alis0nc), Instagram (@passport.mid), OpenStreetMap (alisonc42), or email (alisonc+bsite at alisonc.net).